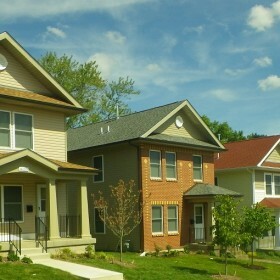 Pine Lawn Homes - St. Louis Equity Fund, Inc.
Pine Lawn Homes consists of 31 three-bedroom homes located near the new Barack Obama Elementary School in the City of Pine Lawn. This project is part of an overall effort aimed at stabilizing the housing stock in Pine Lawn. 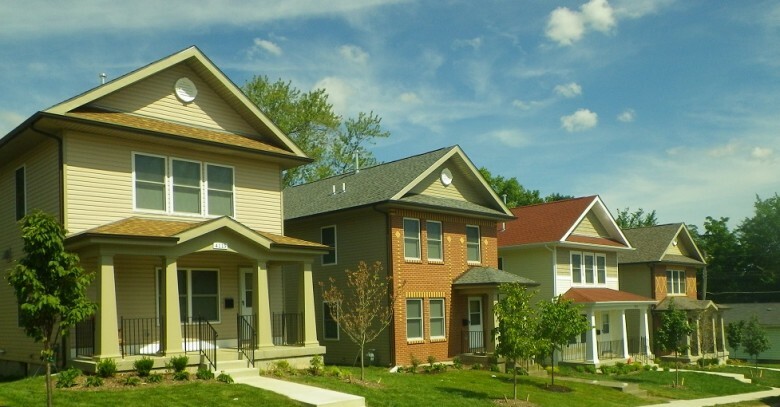 In addition to the construction of these homes, Beyond Housing has assisted in the rehabilitation of 40 homes in the Pine Lawn area through the utilization of grants from the Federal Homes Loan Bank of Des Moines and HUD’s Neighborhood Stabilization Program. SLEFI INVESTMENT FUND: St. Louis Equity Fund 2012, L.L.C. ; St. Louis Equity Fund 2013 L.L.C. LIMITED PARTNERSHIP: Pine Lawn Homes, L.P.
LIMITED PARTNER: St. Louis Equity Fund 2012, L.L.C., St. Louis Equity Fund 2013 L.L.C. GENERAL PARTNER: Pine Lawn Homes GP, L.L.C.